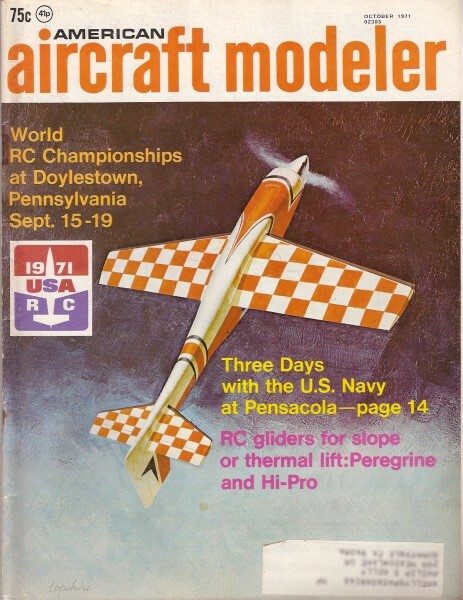 Cover Photo: Bob Lopshire's oil painting of a typical modern RC aerobatic plane such as might be flown at the 1971 RC Aerobatic Championships. Don't miss this great event. It will be many many years before we host another.